PRE-SEASON bolter and Melbourne rookie defender Joel Smith will make his debut against St Kilda at Etihad Stadium on Saturday. Melbourne has promoted the 21-year-old to its senior list in place of young ruckman Mitch King, who ruptured the anterior cruciate ligament in his right knee last April. Smith played the first two JLT Community Series matches against the Western Bulldogs and Carlton, but missed the final game against West Coast due to a minor toe injury. But the athletic defender spring boarded back into the selection mix after Colin Garland went down with a season-ending knee injury in a VFL practice match last weekend, and with Sam Frost (toe) not available for selection in round one. The 191cm defender had 16 disposals and kicked a goal for Casey last weekend to further boost his chances of being elevated. 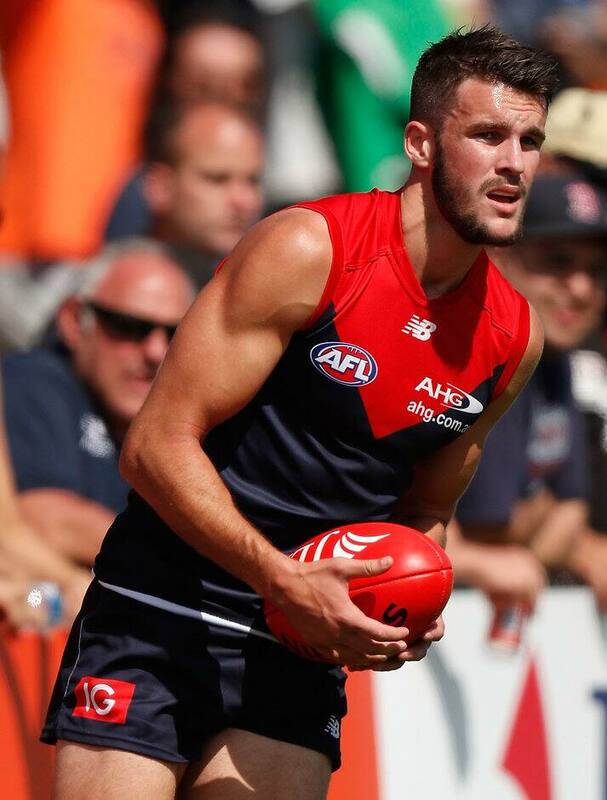 Smith, the son of former Demons high-flyer Shaun, impressed across the pre-season with his work ethic and performance, and his accelerated development has been noteworthy. A former basketballer, he was recruited as a Category B rookie and was a solid performer in last year's Casey Scorpions team that made the VFL Grand Final. The Demons consider Smith to be one of the most athletic players on their list, given his outstanding vertical jump and speed off the mark. Smith has the ability to roll off his opponent and take intercept marks and his hardness in the air, and when the ball is on the deck, is also highly rated by those at the club. The youngster will be critical to the Demons' hopes of containing a St Kilda forward line that boasts Paddy McCartin, Josh Bruce, Tim Membrey and, of course, Nick Riewoldt. The match starts at 4.35pm AEDT at Etihad Stadium on Saturday.